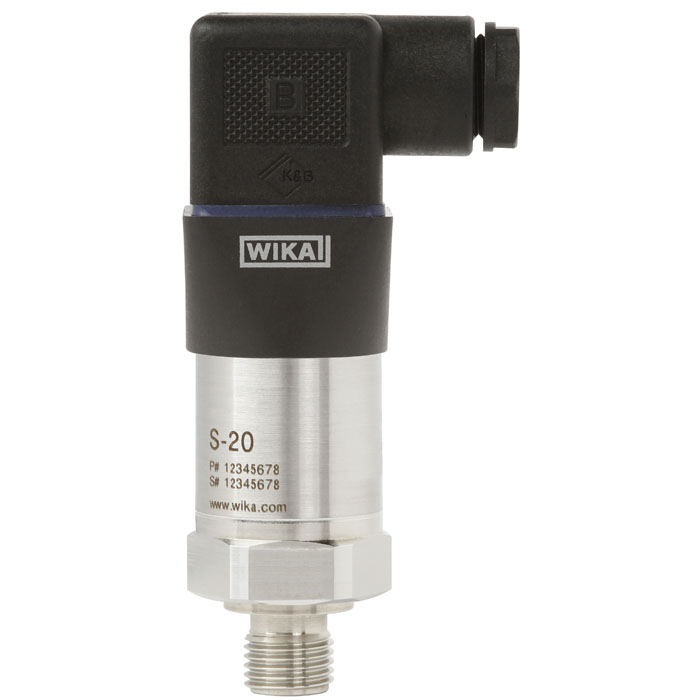 The model S-20 pressure transmitter for general industrial applications is the ideal solution for customers with demanding measuring requirements. 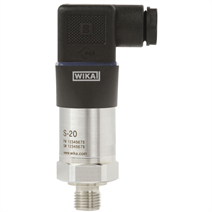 It features a very good accuracy, a robust design and an exceptional number of variants, meaning it can be suited to the widest range of applications. The model S-20 offers continuous measuring ranges between 0 ... 0.4 and 0 ... 1,600 bar in all the major units. These measuring ranges can be combined in almost any way with all the standard industry output signals, the most common international process connections and a wide number of electrical connections. Furthermore, it offers numerous options, such as different accuracy classes, extended temperature ranges and customer-specific pin assignments. The robust design turns the model S-20 into a very high quality product, which even the most adverse environmental conditions cannot affect. Whether with the lowest temperatures when used outdoors, with extreme shock and vibration in machine building or with aggressive media in the chemical industry, this transmitter can meet all requirements.